They say there there is a different cheese in France for every day of the year – well, not sure how true that is, but there are certainly many to choose from! In Mazamet we are fortunate to have a wonderful “cremerie” that has a selection of more than 40 cheese from well known Roquefort to a local Camembert, made just 10km from Mazamet. 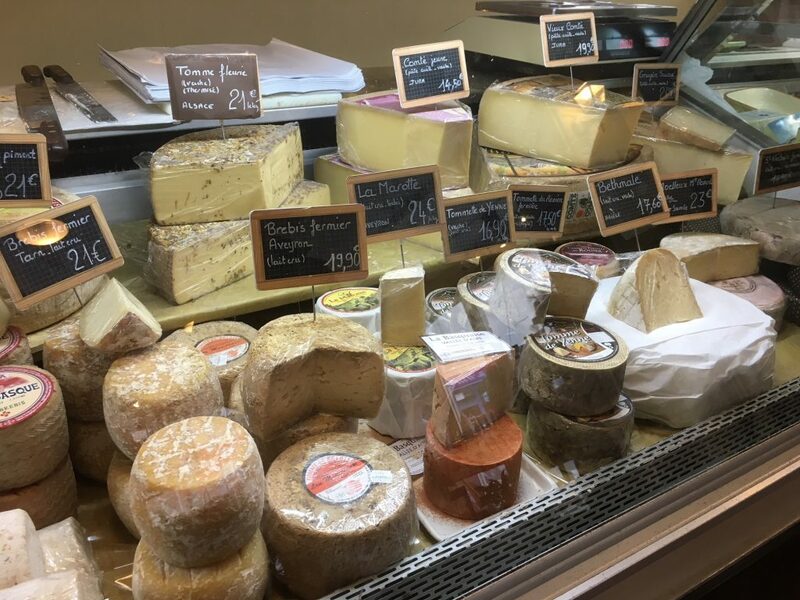 In addition to a wonderful selection of cheese, Le Cremerie du Centre also sells a wide selection of confitures, olive oil, wines and other tasty treats. For our February 2018 competition, we are giving away a voucher for 25€ to spend at Le Cremerie du Centre during your stay at La Villa. To enter the competition, answer the question below & email your answer no later than March 15th to be entered in the draw. One lucky winner, drawn at random, will win the 25€ voucher. Trappe is a cheese made by monks in the village of Echourgnac, in the Perigord. Which liqueur is used in the process of making this famous fromage?